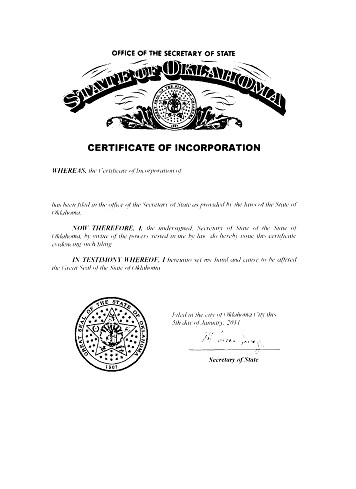 Apostilled Oklahoma Certificates for England, Australia, Canada, South Africa, Ireland, or any country with membership in the Hague Convention. The Apostille certifies the authenticity of the signature on corporation documents. 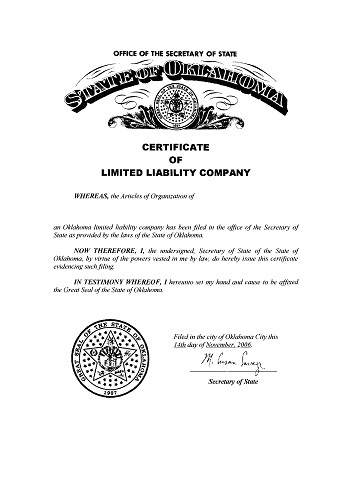 If your Oklahoma company has business owners who do not live in the United States, the Oklahoma Limited Liability Company may be a suitable company as it does not require members to be US citizens. Ordering a Limited Liability Company is easy from IncSmart.biz. If you are an attorney, CPA or Real Estate agent, a Professional Limited Liability Company will be better for you. We just received our legal binder from UPS after filing our corporation documents. The binder is perfect. It has a place for everything. Thanks to IncSmart. Fast. Two days. I was impressed with the service from IncSmart. I would recommend IncSmart to my friends. IncSmart said Oklahoma was fast.... just a few days we had or articles filed with the state. So excited that we used IncSmart. The web page is fantastic. It is our GOTO for all questions now. The Oklahoma legal binder is great. It has everything in there I could possibly need. It has spaces for information I didn't know I needed. It was shipped by UPS about three days after I received my documents. We can even order more items if need be. The Corporation Kit was much more than expected. I love the zipper case. Nothing will ever fall out. 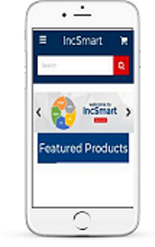 The IncSmart web page sold me. Very professional people as well. We just received our Oklahoma Articles by email. The most efficient company I have ever dealt with on the internet. They did what they said they were going to do. They answered all my questions, and I had many. I highly recommend this company. Q: If we use the IncSmart Registered Agent for our new corporation, where is the agent located in Oklahoma? 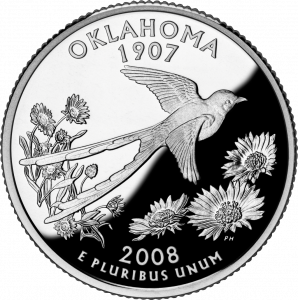 Q: How long does it take to file a new Oklahoma Corporation? A: Oklahoma only takes two days to file new Articles of Incorporation. A: The IncSmart Oklahoma Registered Agent is located in Oklahoma City. IncSmart Oklahoma Registered Agent will alert you in a timely manner about all documents and service of process received as your registered agent. The state of Oklahoma requires Oklahoma LLCs and Oklahoma Corporations registered in the state to conduct business, have Oklahoma Registered Agent service. The Oklahoma Registered Agent you appoint for your company, will receive legal service and government notices on your behalf. The Articles of Incorporation or Organization for both domestic and foreign entities, ask for the address of the registered office to receive service of process. The Service of Process is a notice of a summons or a lawsuit. Now you too can have an Oklahoma attorney on retainer.